Just (re)watch Your Name instead. 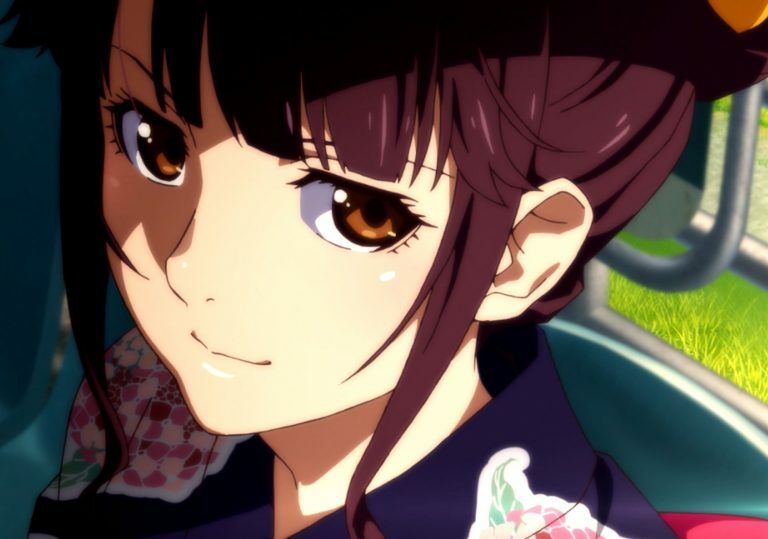 Despite some initial promise, this striking looking anime from director Akiyuki Shinbô quickly fizzles out. 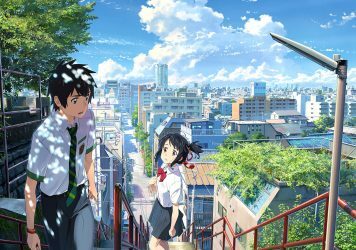 Arriving one year on from the UK release of the crossover hit Your Name, Fireworks continues 2017’s experimentation with monthly theatrical anime releases in fitting fashion – with a high-concept, high-emotion melodrama that attempts to replicate Makoto Shinkai’s winning formula. Unfortunately, though, Fireworks quickly fizzles out. It’s summer in the seaside town of Moshimo, and Norimichi Shimada whiles away his time skateboarding and cycling around with his chums, playing video games and debating a topic of crucial importance: when fireworks explode, what shape do they form? And does that shape change, depending on the spectator’s point of view? Fireworks – or, to give it its full Japanese title, Fireworks, Should We See it from the Side or the Bottom? – teases a surprising amount of mileage out of this simple, and some would say rather dull, question. It’s important, you see, because Moshimo’s fireworks festival is coming up. But Norimichi has a new distraction: a beguiling girl at school called Nazuna Oikawa. An abstract opening montage of yearning sets the tone: bodies suspended in water, whispers of regret, preemptive nostalgia for a youthful idyll that’s slipping away minute by minute. Nazuna, breaking the hallowed division between crush object and subject, reaches out to Norimichi, inviting him into a world of adventure and romance, encouraging him to escape the daily grind and run away with her to the big city, but hesitation and deviation always seem to prevent our two lovers from eloping together. Luckily, Fireworks has repetition on its side. A handy little bauble finds its way into Norimichi’s hand, one that, when flung in desperation, grants the opportunity to rewind time and correct a mistake, bringing us one step closer to a happy ending. Like Your Name, Fireworks hinges on moments of heightened emotion, the very pace of the film slowing to a crawl to accentuate a certain mood. However, where Your Name is whimsical, wistful and wise, Fireworks is a messy misfire. Visually, the film is an awkward collision of styles, leaning into the inherent tensions between CGI and traditional hand-drawn animation. Sketchy character designs exist within glossy, photorealistic landscapes that burst into spectacular montages saturated with special lighting effects. It’s certainly a striking look, but ultimately it’s a garish and fussy aesthetic; all flash and no substance. In the year since Your Name, it has been a treat to see anime features regularly hitting cinema screens in the UK. But it has also been something of a reality check. A handful of these releases have been terrific, with the best, such as A Silent Voice and The Night Is Short, Walk on Girl, expanding the anime landscape with new perspectives and points of view. Some – the shallow, retrograde Fireworks included – would be better off left to the straight-to-DVD market. 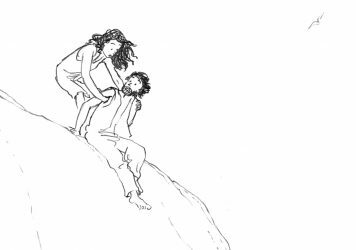 Michaël Dudok de Wit reveals how traditional animation comes to life. 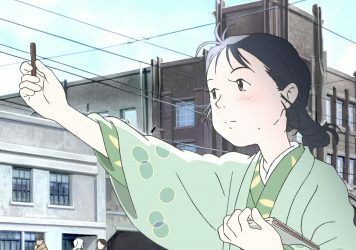 This Japanese anime from Sunao Katabuchi doesn’t quite reach the dizzy heights of Studio Ghibli.